Many customers are undecided about their purchase until they walk in the door. 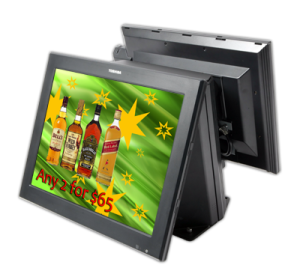 With the power of targeted advertising of promotions or products on the Customer facing displays you will find that they will be reading the advertising while watching the sales journal. 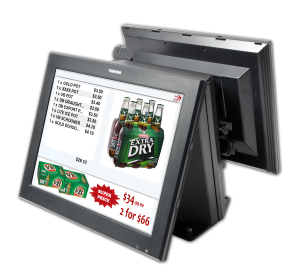 The advertising screens are integrated into the Point of Sale Terminal and the graphic designs can be created locally at the POS or sent via the Back Office or Head Office, depending on the customer’s requirements. SwiftPOS Touch includes a FLASH Graphics designer to allow for quick “add hoc” designs to be created or edited with minimal effort. This allows customers to quickly change their promotions to suit their requirements.